You will Experience the Best at Lichtsinn RV! Starting when you pick up the phone or chat with us online, you will see why the Lichtsinn RV Experience is the best. We work with several National RV Lenders to secure the most competitive finance rates and terms for you. We also offer insurance from different insurance carriers such as Nationwide and Progressive. All of our loans are conventional and fixed-rate with no closing costs or added points and no prepayment penalties. Watch our Experience the Best Competitive Financing Video Here. April’s Featured Parts are our Satellite Systems including the portable winegard carryout G3, the In-Motion Winegard Roadtrip T4, the Winegard Traveler, the King Tailgator Pro and King One Pro. Wanting to select the perfect satellite for your needs? Use our exclusive satellite finder here. The Winegard Carryout G3 offers the ultimate in flexibility! Use as a portable or roof mounted antenna. Change providers, keep your antenna. The RoadTrip T4 is both smaller and quieter than previous Winegard in-motion satellite antennas. This sleek, compact unit is ultra lightweight, with the smallest footprint, and requires minimal roof space. New motors and updated tracking algorithms reduce noise levels and improve tracking capabilities. Stationary Winegard Trav’ler – Designed to bring you everything that satellite television offers, TRAV’LER automatic multi-satellite antennas provide the same satellite TV viewing experience in your RV as your home! Available with DirecTV or Dish. Portable King Tailgator Pro – With KING’s next-level satellite antenna technology, your choice for satellite TV is clear. Bring the best entertainment to any outdoor event with the completely reengineered DISH® Tailgater® Pro. This reengineered, fully automated, premium HD satellite TV antenna includes an ultramodern, clear cover – always know where your antenna is pointing, an industry first! It’s simply better, by design. With the Tailgater Pro, enjoying your favorite HD DISH satellite TV service is easier, faster and more reliable than ever before. The Tailgater Pro starts scanning faster and completes the scan more quickly than ever before. Includes 100% nationwide coverage (western and eastern hybrid arc: 61.5, 110, 119). Ideal for RVers, sporting and outdoor enthusiasts, tailgaters, long haul truckers or anyone with an active mobile lifestyle, the Tailgater Pro allows you to take DISH satellite TV service with you anywhere in the continental U.S. Compatible DISH HD Solo receiver required. To order any of the satellite systems featured, please contact the Lichtsinn RV Parts Department by calling 1-800-343-6255 or emailing parts@lichtsinn.com. Watch our video on Experience the Best – Educational Orientations here. 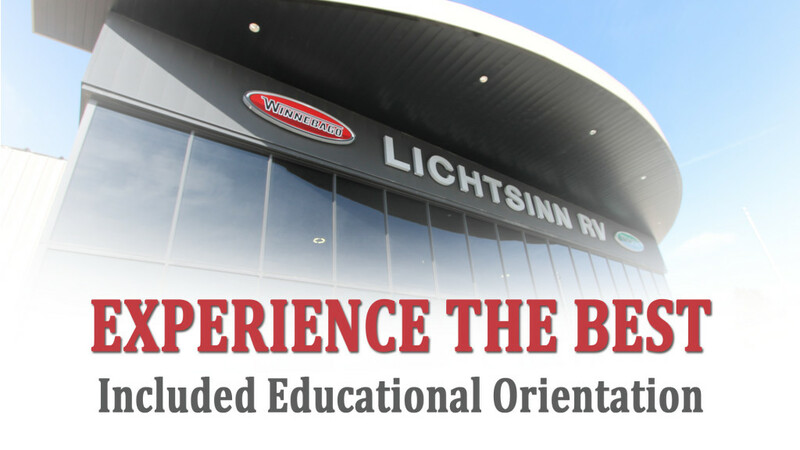 One of the key advantages of buying your new Winnebago from Lichtsinn RV is our half day educational orientations lead by our RVDA/RVIA Master Certified Technician. If you read our guest reviews on Facebook and Google, you will see our educational orientations are highly recommended. When you purchase your RV at Lichtsinn RV, you will receive a half-day educational orientation on your RV from an RVDA/RVIA Master Certified Technician. This certification provides you the assurance that the technician working on your RV or giving your educational orientation has the specific skills needed to do so. This educational orientation is valued at over $600 and is complimentary with your purchase. During your half day orientation, the RVDA/RVIA Master Certified Technician will ensure you know how to use your RV by covering each switch, feature, maintenance and warranty item. If you want to see what our half day educational orientations are like, you can check out our orientations on the Winnebago Era Orientation Video, Winnebago Travato 59KL Pure3 Lithium Powered Orientation Video, Winnebago Travato 59G Orientation Video, Winnebago Travato 59K Orientation Video, Winnebago View/Itasca Navion Orientation Video and Winnebago Revel Orientation Video. Visit the largest motorhome manufacturing facility in the world, Winnebago Industries, Inc., headquartered in Forest City on a campus that we refer to as the most productive 60 acres in North Iowa. Founded in 1958, “Winnebago” became a household word and became the first recreation vehicle manufacturer to build motorhomes in an automotive-style assembly line system. 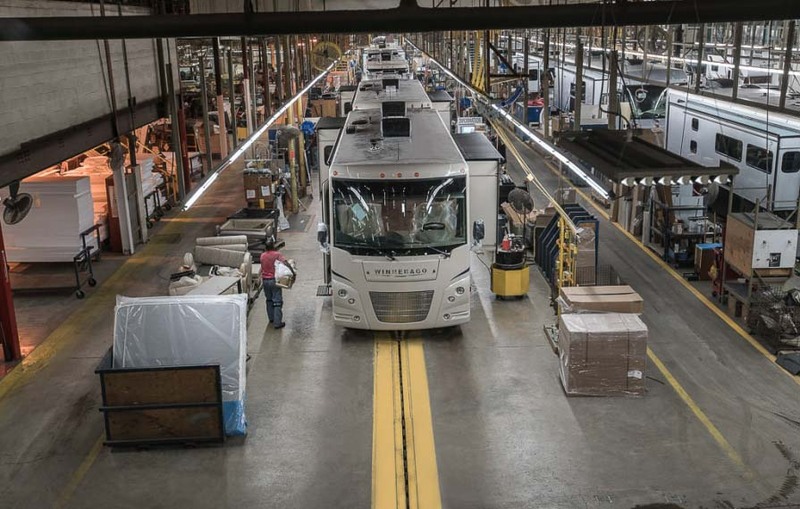 We build our motorhomes in one of the most technologically advanced RV manufacturing facilities in existence today. Twice daily (Monday through Thursday) April through October at 9:00 a.m. and 1 p.m.
Special accommodations can be arranged for large tour groups. Reservations are recommended to ensure a space on the tour. Safety glasses, safety vest and hearing protection provided/required on tours. Reservations are recommended to ensure a space on the tour. All motorhome production tours start at the Winnebago Visitors Center in Forest City, IA. When you are in Forest City for the Winnebago Factory Tour, make sure to stop by Lichtsinn RV to see the finished product! We are just 1 mile north of the Forest City facility and on the way to the Lake Mills facility. One of the key advantages of buying your new Winnebago from Lichtsinn RV is our proximity to Winnebago’s Motorhome Division in Forest City, Iowa. Our dealership is located 1 mile from Winnebago Industries, so if you buy a Winnebago from Lichtsinn RV you don’t have to worry about whether a delivery driver ate, drank, or lived in your brand-new RV before you could. A dealer that is more geographically proximate to you might not tell you about how crucial the first 1,000 miles is for engine break-in because your Winnebago could arrive with 1,000 miles or more on it before you even step foot inside the coach. Winnebago and the chassis manufacturers have recommendations for breaking in the engine. When you purchase from Lichtsinn RV you can control the critical break-in period and not leave it up to a delivery driver towing their personal vehicle across the country. 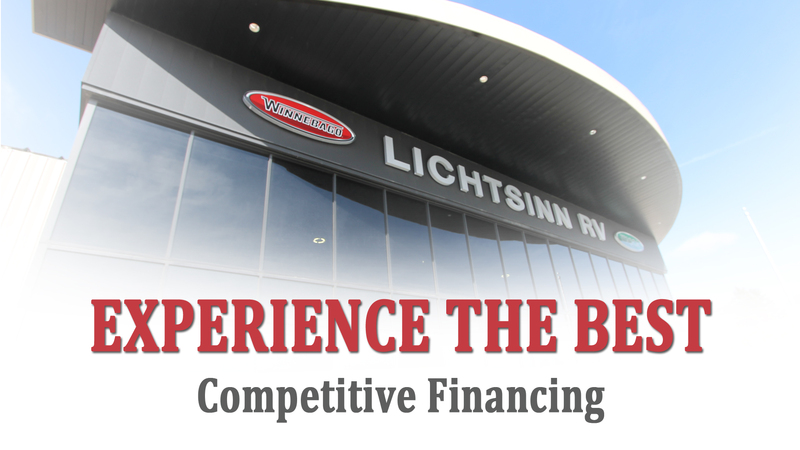 Factory-fresh Winnebago motorhomes without any delivery miles is just one way you will Experience the Best at Lichtsinn RV. See all of the ways you will Experience the Best℠ at Lichtsinn RV here. 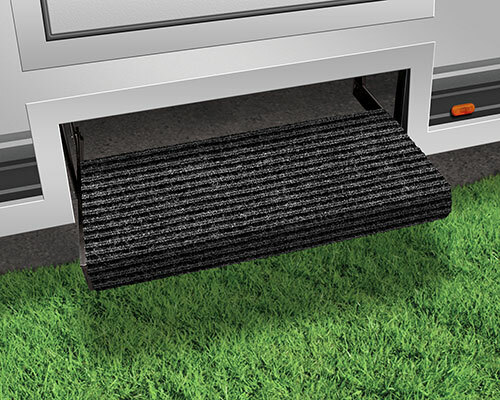 Ruggids RV Step Rugs have deep treads that trap dirt at the door. This rug is made of heavy-duty outdoor carpet with a solid rubber backing. UV protected for all-weather durability. Easy to install with zip-ties (included). Fits most manual & electric steps. 23″ wide. 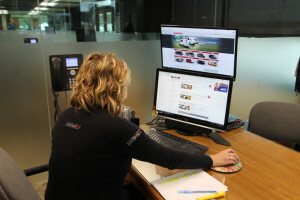 RVers increasingly are looking for technology that enables them to stay connected to family and friends, work remotely, or stream media. So we covered the options for WiFi and cell boosters in one of our webcasts. Below are the top questions from our webcast. We also created a step-by-step tutorial on how to choose a wifi, cellular or combined wifi and cellular booster for your coach. See it here. What is the best way to stream Netflix, Hulu, etc. on your RV TV? There are a couple ways of streaming onto your TV. One of the easiest ways of doing this is using an adapter from your smartphone, tablet or computer and connect it to your TV utilizing an HDMI cord. There are also separate devices, like Blue Ray players, already connected to your TV with streaming services built in. Most Blue Ray players that come with Winnebago’s RVs have streaming services like Netflix and Hulu built in. The third way is an adaptor that is plugged into the HDMI port with the streaming services built in. Examples of these are Amazon Fire Sticks, Google Chromecast, Roku stick, and Apple TV. These range from $39.99 for the firestick to $149.99 for the Apple TV. What considerations with the weboost you have to take into account with shorter coaches? With the WeBoost 4GX the amplifier connects to the internal antenna and needs to be far enough away from the external antenna to prevent oscillation, but very close to the objects you are trying to boost. So a shorter coach can prove to be difficult. Is there an additional monthly fee for the Winegard Connect 2? There is not an additional fee if you use your own SIM card, however, if you don’t you can purchase data through Winegard. Are there options to boost over-the-air TV options? Yes, if you have an older coach with an older Winegard antenna you can add the Winegard RV-Wing Wingman to boost your over-the-air reception. If someone primarily uses their computer to stream videos are they better off buying a WiFi booster or a combined WiFi and 4G Booster? Whether it’s the mystery of why and how a nearly infinite amount of water cascades over incredible cliff sides, or it’s the mesmerizing echo of roaring water that captivates us, one thing is for sure—waterfalls are one of the most incredible displays of Mother Nature’s power. 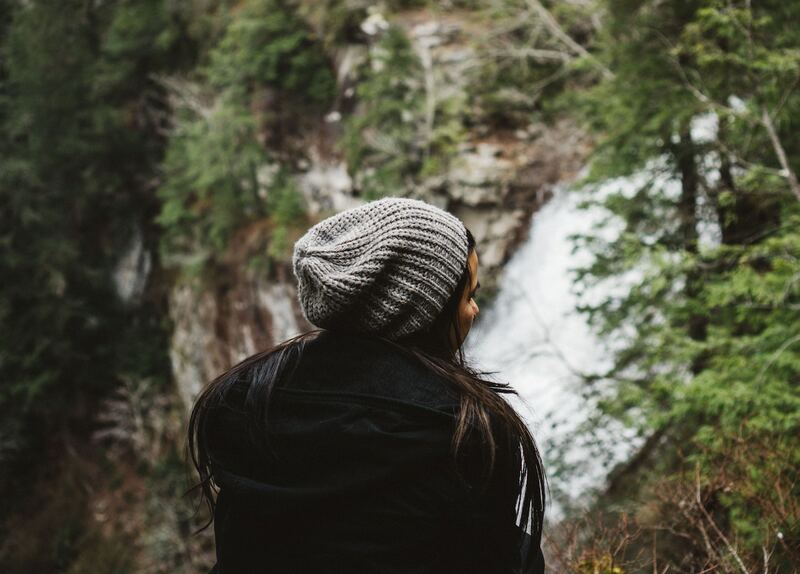 So, whether you’re looking to stand above, beneath, or even behind an epic waterfall, we have you covered. We’ve put together the best hikes in the states where spectacular waterfalls steal the spotlight. Hidden within remote red cliffs and caverns of the Grand Canyon lies an isolated paradise known for its aquamarine cascading waterfalls and travertine pools. Havasu Canyon, a precious and vigorously protected area, sits at the top of every adventurous backpackers’ bucket list. Merely reaching the trailhead of this desert gem requires patience, planning, and a little bit of luck though. 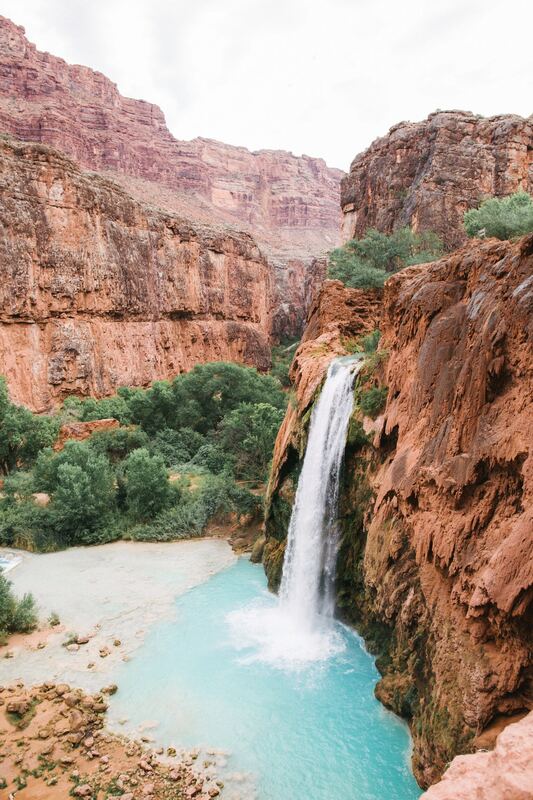 The Havasupai Tribe is intimately connected to these crystalline waters and regulate the region to make sure it’s well-respected. Day hiking to the falls isn’t permitted, so to plant your boots along the strenuous 10-mile trail you’ll need to get your hands on a coveted reservation and commit to a minimum three-night stay. But once you’re there, we’re pretty sure taking a dip beneath five infamous blue-green falls will keep you calm and captivated. Keep in mind, this trail isn’t necessarily for beginner backpackers. Summer temps can reach up to 115 degrees, the terrain is unpredictable, and emergency facilities are very few and far between. It’s important to properly prepare and know the risks associated with a trip to the dazzling falls that decorate Havasu Creek. 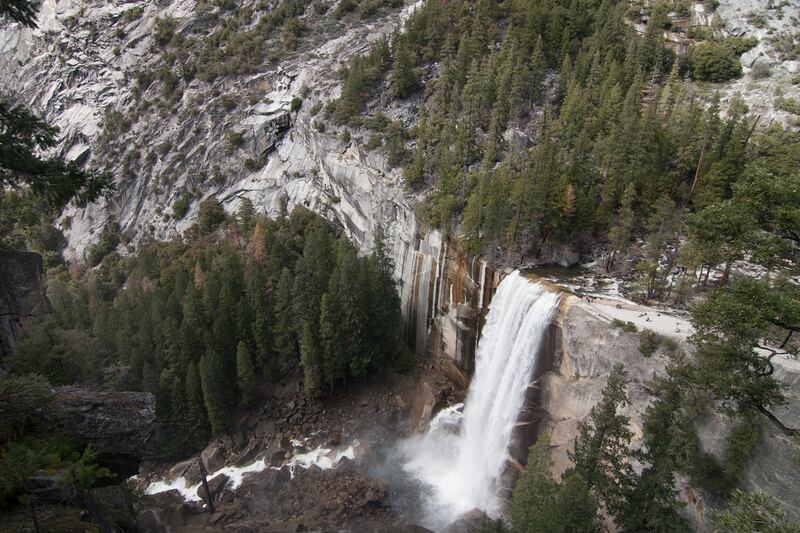 Visitors flock to Yosemite National Park each year to experience the illustrious 2,425-foot Yosemite Falls. And, rightfully so, Yosemite Falls isn’t only one of the tallest waterfalls in the country—it’s a bonafide California icon. But if you’re in search of waterfall views that you can’t see from the front seat of your car, we recommend you tackle Yosemite’s signature hike, the Mist Trail. Following the lively Merced river, you’ll conquer 1,000 feet in elevation, 1.5 miles of uphill hiking, and 600 stone steps before reaching the top of 317-foot Vernal Fall, one of the most powerful waterfalls in Yosemite. Some hikers stop here for a snack and head back to the car, but if you have a little more gas in the tank, continue on for 1.3 miles to reach 594-foot Nevada Fall. The falls thrive in spring and early summer, and the incredible amount of mist (hence the name) from the waterfalls can be a pleasant treat on a hot summer day. Just watch your footing—wet granite can make this trek pretty slippery at times. 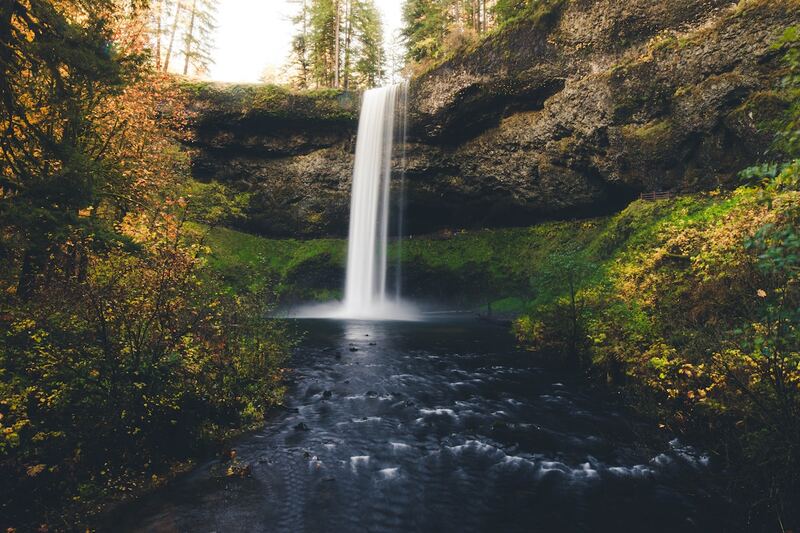 The Pacific Northwest knows a thing or two about waterfalls, and nothing proves that point quite like the Trail of Ten Falls. Not only is this trek considered one of the best in Oregon, but it’s also a must-see for anyone with a serious case of waterfall wanderlust. In fact, the Trail of Ten Falls is home to the second highest concentration of waterfalls in the entire state of Oregon, and there are no less than 10 waterfalls along this modest, 8-mile trail. And you don’t have to admire the falls from afar. You’ll feel the power of the rushing water as it cascades from canyon cliffs above. That’s right, after weaving through pristine old growth forest, the trail passes directly behind several notorious waterfalls, including 177-foot South falls and 136-foot North Falls. Watkins Glen State Park is a New York state gem defined by a majestic 400-foot narrow, hanging gorge and a legendary waterfall-dense trail system. The Gorge Trail, one of few trails available in the park, is arguably one of the most scenic 2-mile treks you can take in the state and features 19 unique waterfalls that are bounded by incredible 200-foot limestone cliffs. The trail starts from a dark spiraling tunnel that was cut into the cliff-side before descending into a world of natural stone architecture and lush green wilderness. Following the gorge, the trail meanders past Glen Creek, over charming stone bridges, and negotiates over 800 stone steps. The trail’s appeal, however, comes mainly from the ability to walk directly behind several waterfalls including Cavern Cascade, which plunges nearly 60 feet to the canyon floor. Cummins Falls isn’t your everyday cascading waterfall. According to locals, this 75-foot hidden treasure has been the prime swimming hole for escaping Tennessee summer days for over 100 years. Rumor has it, until recently, hikers had to earn their dip beneath Cummins Falls by scrambling down a treacherous, unmarked trail and wading in ankle-deep water. Today, 211-acre Cummins Falls State Park and its namesake waterfall are protected by the state of Tennessee, and the 2.5-mile trek to the falls are far more accessible. Still, avid adventurers will appreciate that despite its recent enhancements, the trail to Cummins Falls still requires a bit of on-trail ingenuity. If you want to wade in the natural pools below the falls, you’ll want to prepare for river crossings and expect to traverse some sizable boulders on the river bend. You may be familiar with our monthly live webcasts where we cover a variety of topics about RVs and RVing. 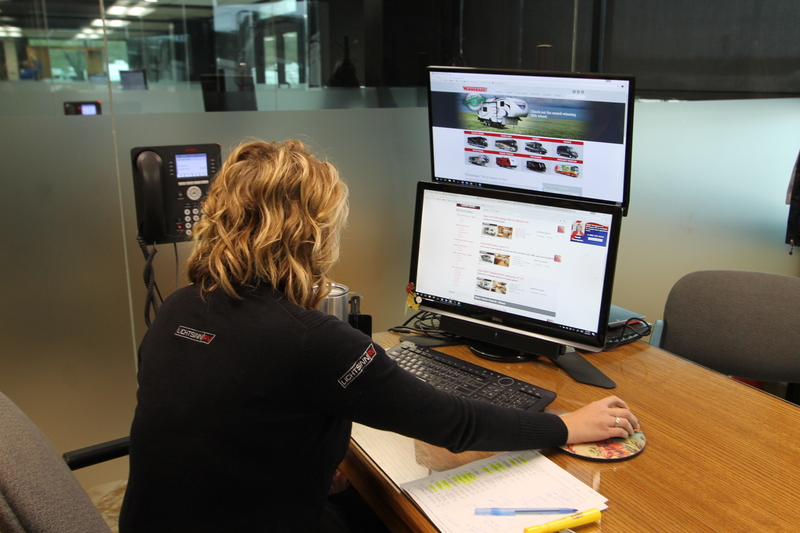 But, did you know that you can set up a private live appointment with a Lichtsinn RV Sales Consultant where they will tour any in-stock RV and answer the questions you have along the way. Our sales consultants regularly hold live appointments with guests from across the U.S. It is extremely easy to schedule and attend a live appointment with a Lichtsinn RV Sales Consultant. 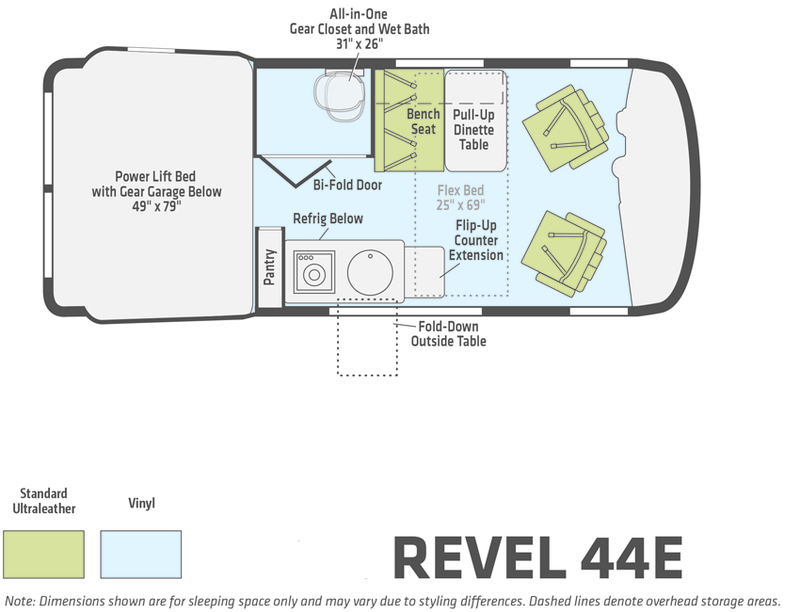 First, schedule your live appointment by calling 1-800-343-6255 and let us know what RVs you are interested in seeing. We will then schedule a time that works best for you and will call you at that time. All you need to do is have a computer or tablet with an internet connection and your phone. We will call you on your phone and email a link where you can see the live video. Set up your live appointment with a Lichtsinn RV Sales Consultant by calling 1-800-343-6255 or by visiting LichtsinnRV.com and chatting in requesting a live appointment.